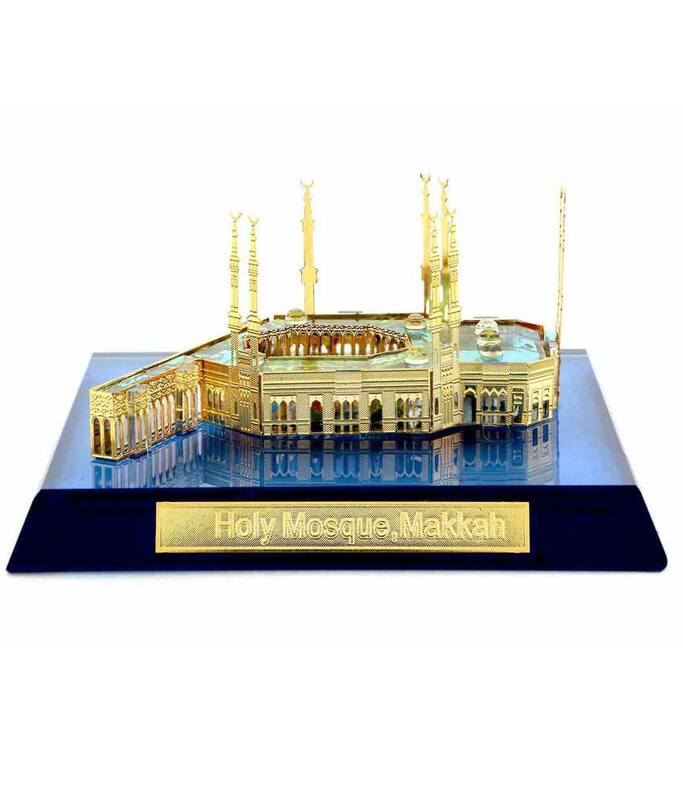 Muslim Wedding Gift Ideas. When it comes to weddings, what makes them so desirable is mostly affiliated with the luxury-inducing ceremonies they are filled with. Mainly and much more for the those who happen to be the center of it. Because they are the ones who are at the other end of the compliments and appreciation. Which makes ‘presents’ a very significant attribute of a wedding that can add so much meaning to your attendance of the wedding. Muslim weddings are considered probably the most expensive and that Muslims spend their life-long savings on making their weddings as grand as possible. 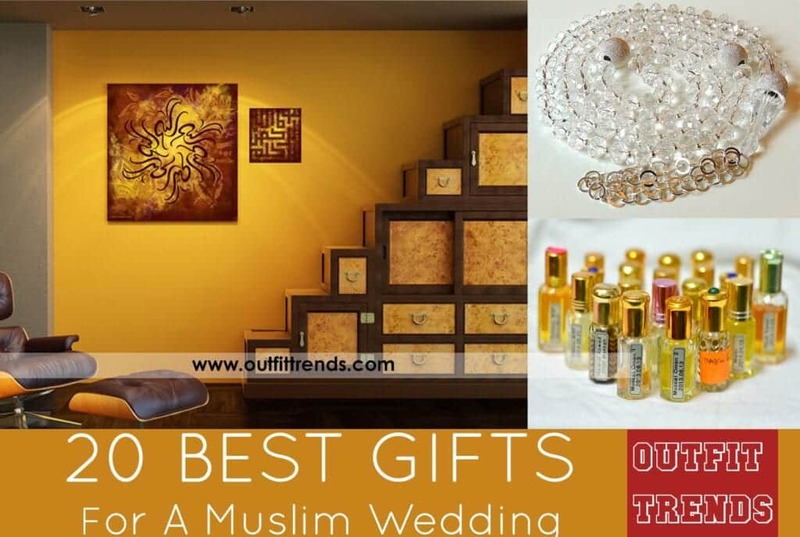 So to further add into the glamor, here’s a cool and clever list of what will be the most appropriate choices of gifts for a Islamic wedding. Have a look! Nothing wins over a beautiful-looking statue or a show piece. And crystal just adds bliss to everything. A handcrafted 99 names of Allah on a pleasant-looking wall portrait or a wallpaper art piece is a good option too. An Islamic themed and stylistic piece of a home decor (wallpaper) is a good idea for a Muslim occasion. Many examples pitch in when we specify Islamic home decor ideas – such as portraits, paintings, wall arts and what not. No matter how many branded perfumes people may use, the essence and attraction of Ittars are timeless. Once again, a perfect set of ittars (scents) is quite affiliated with the Muslim culture more than any other asset. Candles can be a wonderful item to gift too! Nothing pleases the eyes more than a catchy decorated candle craft set! Nothing is better than giving someone great ideas about a more Islam-inspired room decoration! A personalized showpiece with the couples’ names imprinted on it will make it a very considerate thinking! And a nice and stylish outfit for the groom will be very impressive. Because a glossy and fancy set of hijab pins is the best. A Tasbih set and none so ordinary as made out of pearl are surely very worthy. Not only are they simply gorgeous-looking but also a quite creative choice. Rhinestone is surely the classiest and add depth to any ordinary asset! A content writer by the day and a reader by the night - two things that she loves the most. When Zoona isn't writing, she'll either be thinking of what to bake next or where to travel next. When it comes to writing, she has always been a storyteller and one of her short stories was published in 2014 in the Oxford University Press’s anthology of contemporary Pakistani short stories, I’ll Find My Way. Her love for fiction writing also drove her to complete a short course on "How Writers Write Fiction," at The University of Iowa. Her other interests include binge-watching Netflix or online gaming.